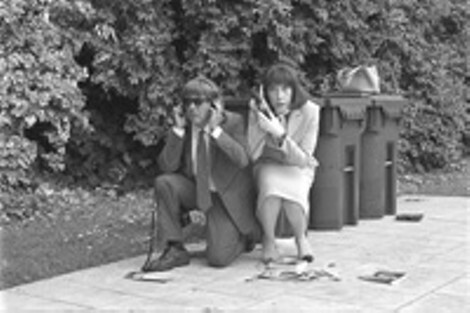 At least theyre funny, sometimes: Dustin Hoffman and Lily Tomlin in Huckabees. You gotta have faith. And bullets.